in 1944, exert a powerful pull on travelers. exactly the question, why do we want to travel to dark places: Dark Tourism: The Attraction of Death and Disaster. macabre destinations,” which they dubbed “Thanatourism,” after Thanatos, the Greek personification of death. Cambodia, for example, is very dependent on travel and tourism as a source of revenue, about one-fifth of its GDP. 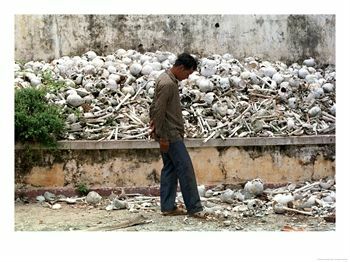 So do the infamous “Killing Fields” at Choeung Ek, where 17,000 people were murdered, and human bones, shattered and smashed skulls still litter the site. history, and to raise badly needed revenue. travel experiences” as a driving force behind the surge in Dark Tourism. tortured history and human suffering.